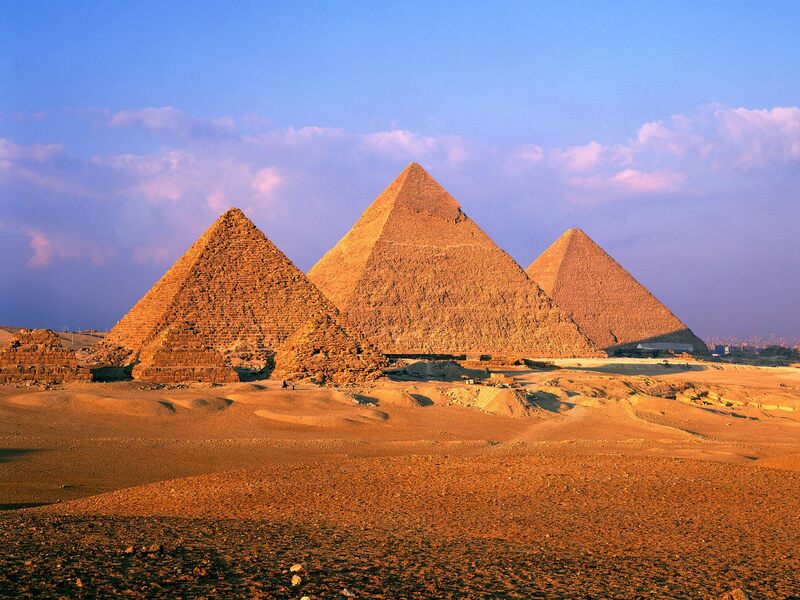 With have previously discussed calls for Islamic extremists to destroy or cover up the Pyramids as an offense to Allah. Now, islamic leader Murgan Salem al-Gohary has called for the destruction of the iconic structures as well as the Sphinx — citing the Taliban as a model for such destruction when they destroyed the famous giant Buddhas of Bamiyan to the disgust and anger of the world community. Murgan Salem al-Gohary is clearly an extremist and not someone that most Egyptians or Muslims would follow. However a far more worrisome development is the huge demonstration in Egypt a few days ago calling for the country to impose Sharia law on its citizens. The call of Murgan Salem al-Gohary indicates that the riddle of the Sphinx may have been misinterpreted in asking what has four legs in the morning, two legs at afternoon, and three legs at night. The answer appears to be al-Gohary as a baby, a man, and then as a religious frantic with a sledgehammer. We have been discussing how such extremists have destroyed ancient tombs and temples recently to “cleanse” their country of impure images or icons. What is astonishing is that such men have a following in this country, even when he is calling for the destruction of the remarkable history and creativity of the Egyptian people. In some ways, the destruction might help these religous leaders in further reducing Western tourism and further isolate followers from the exposure to the modern world. politicians all claim to know their religion. they do not know GOD. they follow someone who claims to know GOD. they are the antichrists. they all refuse to listen to GOD. who will pay the price for this is those who do nothing. if you don’t lead your politicians in the correct directions you will lose every thing that people take for granted. the antichrists tell the politicians to ignore GOD. JESUS was annouced in traverse city, michigan, over four years ago in walmart to tell world that HE is here. the clergy tells the people it was a joke. they are theorist only. you all should should have been dead over four years ago from the nuclear war that happened. all religions are false and claim to know GODS master plan. who do you follow? the Russians know that I am here in traverse city for over four years. has anyone noticed the changes Russia is trying to make and no one listens. the churches are trying to lead the politicians world wide. the first became last because of clergies from every faith misleading the doctors, lawyers, judges,and politicians. other than call ME a nut job like the politicians do, you should ask why every church is putting on a paint job. satan is growing before your very eyes while you sit on your asses! the first thing they will do is take over the politicians, like they are doing already. It is a true shame that historic sites can be held hostage because the islamist FEAR that God is feeling threatened by idols and such! NO SUCH THING! It is a “personal responsability” not one person being resposible for his fellowman! Judgement will be done individually. This Leader is a fool and a crazy fanatic who needs to be told that he is Not God to judge=He (this man) is the one being disrespecful to God thingking he can be the Judge of his fellowman and stupid fools follow his commands- he is Not God. Wake up! Then again, go ahead and do it! go back to the stone age and bring Egypt to its knees begging in misery. I used to have some respect for religion, even though I believe in science, myself. Then I started working as a psychiatric nurse, and saw how many times insanity expressed itself through religious imagery. It’s not just Christians who vent their psychotic nihilism through the voice of their imaginary Sky Spook. Even Hindu and Sikh schizophrenics hear the voices of multiple gods, in the depth of their delusions. Mullah Murgan is no different. So, The Living God, you’re opposed to proper capitalization, punctuation and spelling? Who knew? How is it possible for The Living God to have escaped from somewhere?